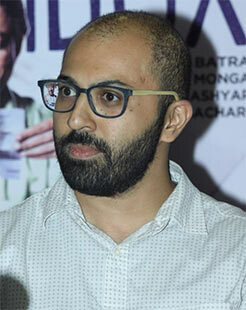 Director Ritesh Batra, whose The Lunchbox lost out to The Good Road as India's foreign language Oscar entry last year, says the method for selecting entries for the Academy award in India is flawed. Last year, Gyan Correa's The Good Road was picked over The Lunchbox. Batra, along with producers Anurag Kashyap and Karan Johar, had publicly criticised the decision. While wishing luck to this year's selection Geetu Mohandas' Liar's Dice, the director said he wants to see a change in the selection process. "I don't think we have a good process in place to select a film for Oscars. We need to send deserving films and stories to the world because today we have our own style of filmmaking, we have our own culture and we are not aping others when it comes to making films. "Oscar is a great platform for our movies to travel as it can open new doors for our filmmakers. So things need to be changed in the way we choose a film," Batra said. The filmmaker said that young people should be the decision makers in the selection committee as he believes today's youth has a lot of sensibility and is ready to question the norms. "Young, visionary and dynamic people should be at the helm of affairs for choosing a film for such occasions, who give us the process we deserve and also to the audience. The youth is smart today. It has started asking questions and it thinks a lot, so they should be given a chance," he said. Batra is part of the International jury at the ongoing Mumbai Film Festival and he said he is looking forward to watching a variety of Indian and world cinema. "It feels great to be a part of the festival and to share the panel with such esteemed judges. I am looking forward to watching great stuff, both from India and foreign countries. I will judge movies on the basis of content, a good content always finds audience. It should be a combination of substance and entertainment," he said. Batra is currently busy writing the script for his second film, again set in Mumbai, which he hopes to begin filming next year.